Containment of highly pathogenic avian influenza (HPAI) is a critical step which must be properly performed to ensure human and animal safety. 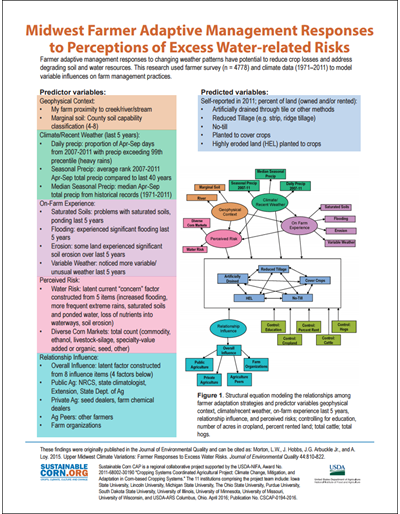 This publication discusses how to prepare to contain a potential outbreak and what should be done to safely contain it. 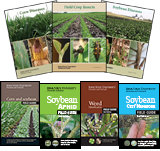 A helpful handout for discussing variables that may influence farmer decisions regarding on-farm management practices, such as the decision to plant or not plant cover crops. 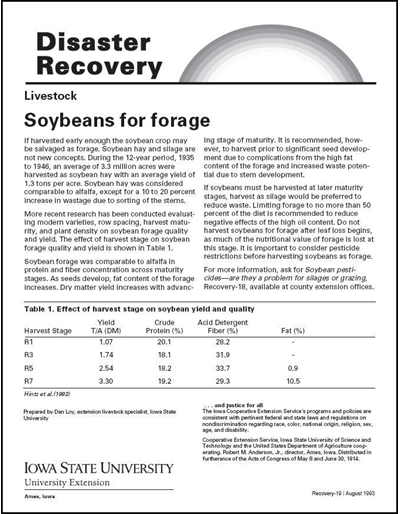 This handout is based on research by the social science team of the USDA Sustainable Corn Project, led by Iowa State University. 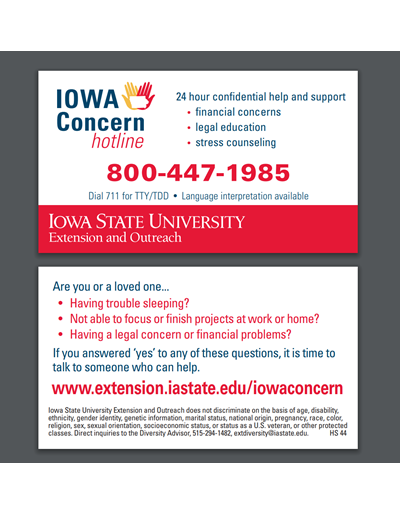 A bundle of 50 business cards, measuring 3.5" x 2", with contact information for the Iowa Concern Hotline. Hotline provides free 24-hour confidential assistance for stress issues, legal questions, and financial concerns. 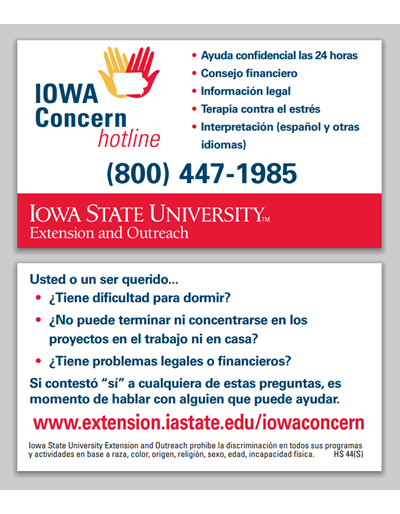 A bundle of 50 business cards in Spanish, measuring 3.5" x 2", with contact information for the Iowa Concern Hotline. 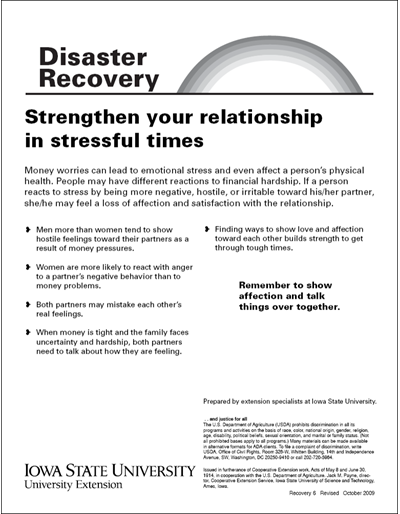 Money worries can lead to emotional stress and affect physical health. Discover five tips on communicating during touch times. 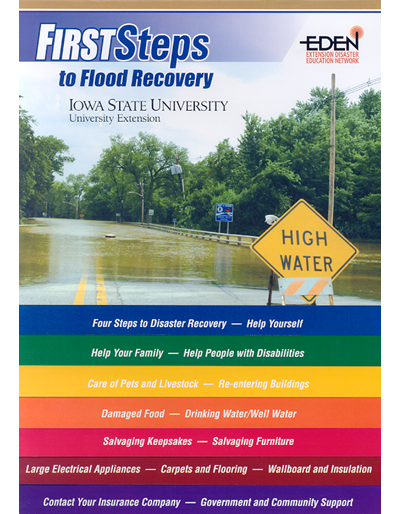 The First Steps to Flood Recovery publication provides helpful information for people with flooded or water damaged homes. • Or, call 1-888-EXT-INFO (888-398-4636). Ask for the EDEN contact in your state. Most people think listening is easy. However, really listening—not only to the words but also to the meaning behind the words—is hard work. The hard work of listening often is the best help we can offer to a person in trouble or under mental strain. 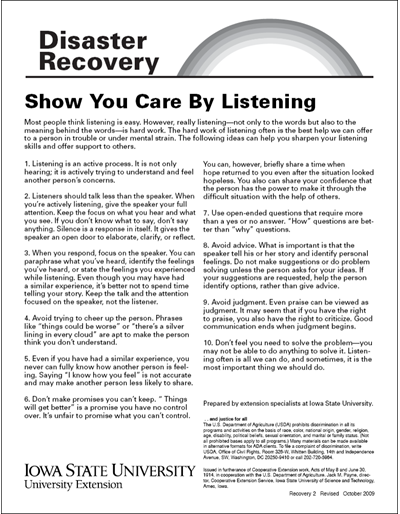 Here are 10 tips on showing you care by really listening to family and friends. 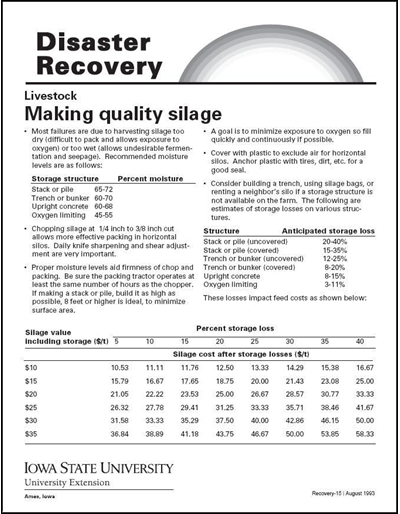 Learn about two simple, inexpensive methods to determine silage moisture: using a 250 watt infrared heat lamp or a microwave. 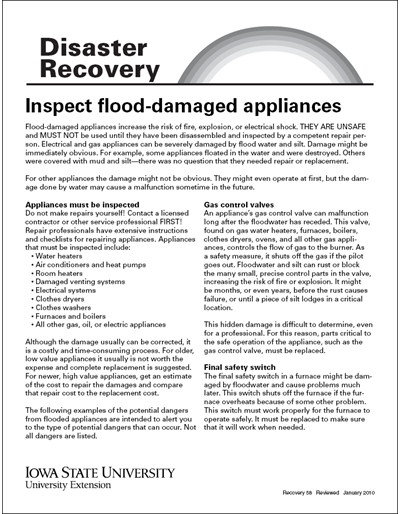 Floodwater contains sewage and unknown chemicals that will contaminate carpet and present a health risk. If carpeting was flooded with basement seepage, with lawn runoff, or by sump pump failure, the risk may be less. In these cases, if your carpet was in good condition, you can try to clean it. 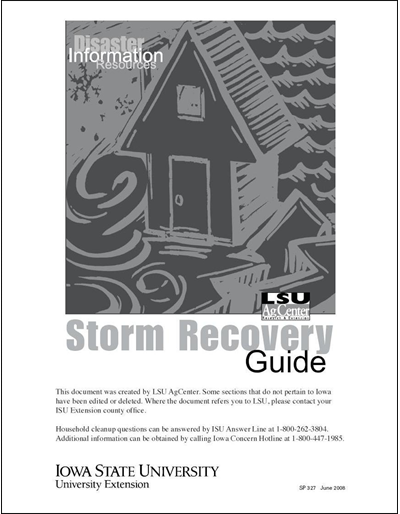 Use this publication to help decide what to do. 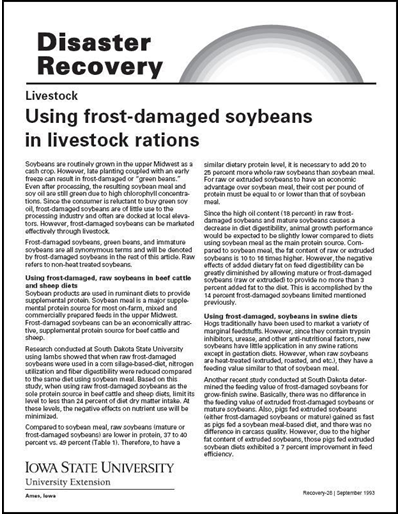 Tips on managing crops that may not mature before the first killing freeze of fall. Get information on common illnesses caused by breathing in molds/dust. Help also provided in selecting respirators. Here are answers to common questions about silo gas, how to recognize it, and protect yourself from its dangers. 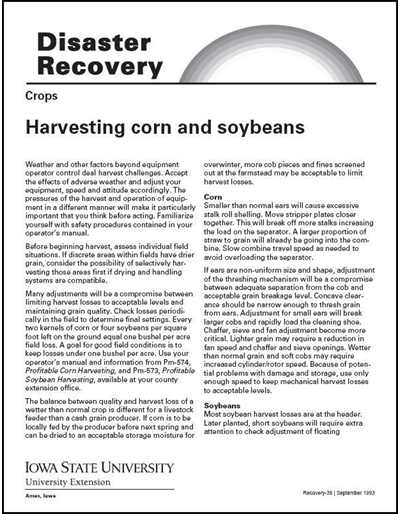 Provides tips for harvesting in less than ideal conditions to limit harvest losses and maintain acceptable grain quality. 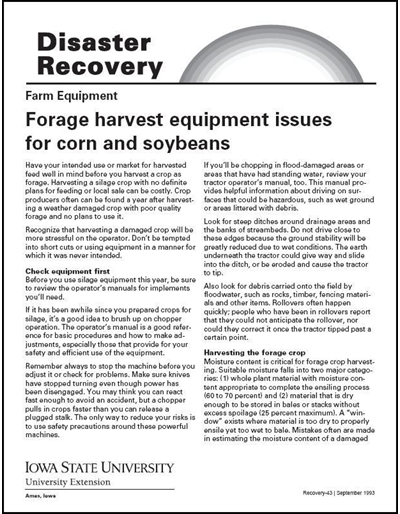 Equipment and safety issues for harvesting damaged corn or soybeans as forage.